November 24 is Small Business Saturday and downtown Paris will be open for business. Saturday shoppers can enter a drawing to win $300 Downtown Dollars and other door prizes! 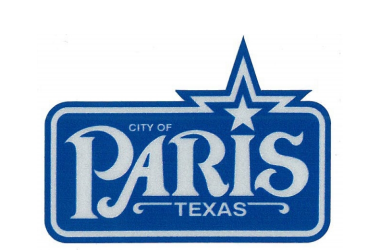 [Paris, Texas ][November 15, 2018] – Today the Paris Main Street and Paris Downtown Association announce its participation in the annual Small Business Saturday on November 24th to support independent businesses in historic downtown Paris. Founded by an American Express in 2010, Small Business Saturday® is a day to celebrate the small businesses that help support your neighborhood and is held every year on the Saturday after Thanksgiving. Now in its eighth year, Small Business Saturday has been embraced as part of the holiday shopping tradition as each year shoppers, businesses and public officials come together to Shop Small® and show their neighborhood pride. Understanding the important contributions small businesses make to their communities, Paris Downtown Association is pleased to announce the participation in Small Business Saturday and Paris Main Street is registered in the Neighborhood Champion program. On November 24 from 10: 00 am to 6:00 pm the holiday shoppers are encouraged to take part in the Small Business Event by shopping in historic downtown. Look for the Small Business Saturday Balloons in front of the participating stores. The event will feature specials in participating stores, and a chance to register for a drawing for $300 Downtown Dollars, to be given away on the JJ Culbertson Fountain at 6:15 p.m. on that day. (Must be present to win.) Several shops will have giveaway such as Shop Small® tote bags while supplies last. Cheri Bedford, Paris Main Street Program Coordinator encourages locals to make a day of shopping and dining in downtown Paris. “Choosing to shop in a local business supports your neighbors, friends, and local economy. Businesses, in turn, are always ready to support the local activities when the need arises. We all win when we shop locally.” says Bedford. Glee Emmite, president of the Paris Downtown Association encourages people to come downtown and see what the downtown businesses have to offer. “Downtown Paris has many gift and specialty stores on the Plaza and down side streets. Shop on Small Business Saturday and you might be the lucky winner of a door prize or $300 Downtown Dollars that can be spent as cash” she says. Check out the facebook.com/downtownparistexas to find out more. Small business owners can learn more about taking part in Small Business Saturday and download free marketing materials on www.shopsmall.com. Consumers can also visit the site to find small merchants to shop at on Small Business Saturday. November 24th marks the eighth annual Small Business Saturday, a day dedicated to supporting the local businesses that create jobs, boost the economy and preserve neighborhoods around the country. Small Business Saturday was created by American Express in 2010 in response to small business owners’ most pressing need: more customers.